The aim of the Human Resources department is; our company's quality system in the direction of quality policy to provide an appropriate service to be formed to determine the staff better and more effectively. In general, the recruitment of personnel is very important for our company which is active in service sector. In this sense, it is necessary for our employees to be carefully selected to be our outside representatives. 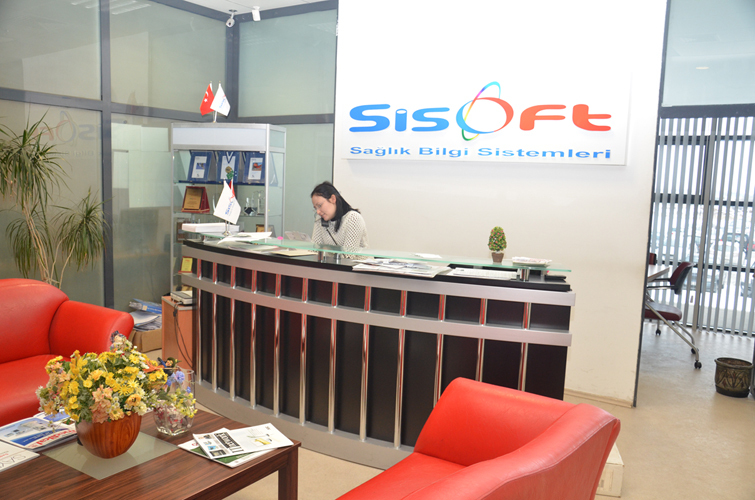 Sisoft Health Information Systems is a well-established institution with a 30-year history that specializes in hospital information systems, has experienced a long history in computer technology and has adopted and developed all possible standards. Apart from standard units such as software, technical service and design, our company has application development and technology departments as well as a laboratory where final products are tested. One of the three servers that we have is working as an internet server / provider that is completely set up to serve our customers. Our other servers are used to test new operating systems and hardware components in our laboratory to enable the public institutions and organizations with our users to perform experiments on the smooth use of our programs. These tests are generally focused on the operating systems that provide the programs and the whole system. Adhering to the working principles of our programs; In addition to single-user operating systems such as Windows 98 and Windows 2000, the latest versions of Windows NT, Windows 2000 Server, Linux, and Novell network operating systems are constantly being tested for security. As of December 2000, we are serving 110 public and SSK hospitals and over 400 public institutions in our country as a whole. Sisoft Health Information Systems has the right to be able to refer to the entire user as a reference for both the program and the service provided.